A high standard of service, generous room provisions, and reasonable prices mark every stay at Harbor Town Hotel in Iloilo City, Philippines. 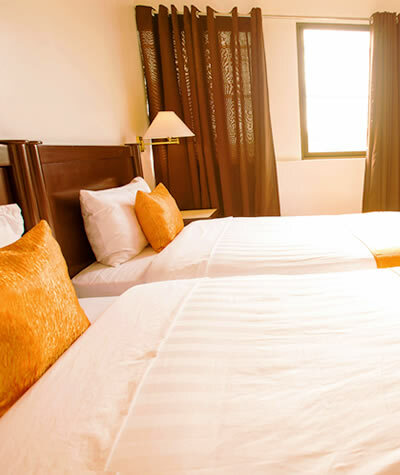 Because of its dedication to providing affordable yet impeccable hospitality, the boutique business hotel has remained a top accommodation of choice among discerning business and budget travelers bound for the historic city. Harbor Town Hotel welcomes families, corporate guests, and backpackers with spacious rooms and suites that have great views and thoughtful amenities. Each living space has its own TV with satellite channels, desk and chair, private toilet and bath with hot and cold water, and free Wi-Fi Internet connnection. The neutral colors, classic room design, and ample floor space contribute to restful nights for leisure travelers, and a focused and productive stay for corporate guests. The calm air in each accommodation is only complemented by views of the port and Iloilo River. Convenience and relaxation come hand in hand with the list of facilities and services offered at our boutique hotel in Iloilo City. We have an in-house spa that provides rejuvenating treatments, dining options that offer a feast for the eyes and the palate, and travel assistance for an easy tour of the city. In addition, Harbor Town Hotel offers all these at a price that won’t break the bank. Plaza Libertad – This is where the flag of the first Philippine Republic was raised to mark Spain’s surrender of Iloilo City, its last capital in the Philippines. Calle Real – Also known as J.M. Basa Street where Harbor Town Hotel is located, Calle Real recaptures the old glory of Iloilo City. Lined with heritage houses that were built as far back as the 1800s, the street is a popular tourist attraction. Reservation NoticeOnly declared number of guests will be accommodated upon arrival. Excess number of guests will still be accommodated, but are subject to room availability and applicable charges. Location and AccessibilityHarbor Town Hotel is set in a convenient address close to the historic landmarks of Iloilo City. It is a mere 10-minute walk to the malls, 10- to 15-minute drive to the new Iloilo Convention Center, and a 30- to 40-minute drive to the airport. RelaxationHarbor Town Hotel is set in a convenient address close to the historic landmarks of Iloilo City. It is a mere 10-minute walk to the malls, 10- to 15-minute drive to the new Iloilo Convention Center, and a 30- to 40-minute drive to the airport. 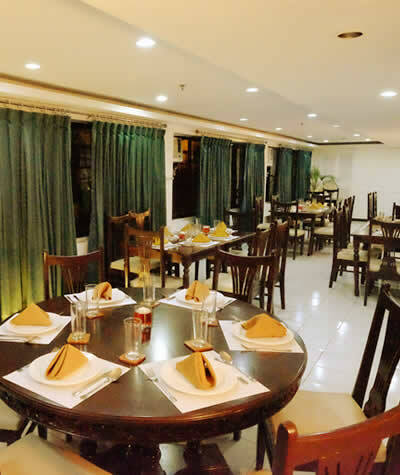 Spoil Your Taste BudsOur signature restaurant, Kuron Restaurant, serves Ilonggo specialties, Asian and Western cuisines, and all day breakfast. Harbor Town Cafe offers cold drinks, fresh brews, tasty snacks, and views of the city’s cultural heritage sites. It’s easy to get lost in the scenes and sights of Iloilo City without leaving the comfort of your accommodation. The rooms and suites at Harbor Town Hotel offer a view of the port and Iloilo River. The hotel also meets the needs of families, corporate, and budget travelers by providing each guestroom with Wi-Fi Internet access, desk and chair, and TV with satellite channels. Pamper yourself with relaxing treatments and facials at The Spa. Delight your tastebuds and order local dishes at our signature restaurant at the mezzanine, or take a peek at the sights and scenes outside while enjoying refreshments at our ground floor cafe. Here at Harbor Town Hotel, we’ve made sure that all your needs are met during your holiday in Iloilo City.